Unreadable European postmark with stamp removed. Just passed the famous Loreley on the Rhine and stopped at St. Goar for the remainder of the day. This is a most beautiful river and castles are built on both sides of it.– S.A.C. 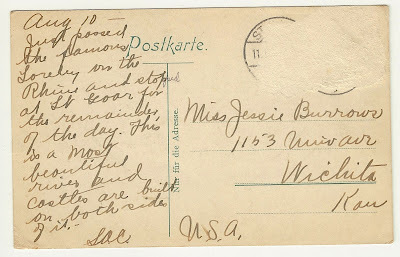 Based on the 'St' part of the postmark, I wonder if the card was mailed at St. Goar, right after the sender viewed the Lorelei? The year would be interesting. Any way to tell if it was it before WWI? Chuck, I think your guess is really good. 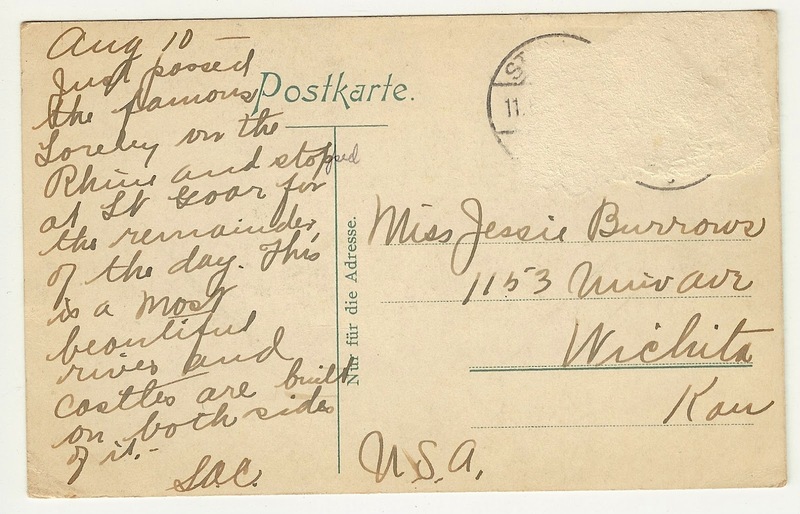 Jessie Burrows was married in 1909 and became Jessie Benton, so I'd guess this cards is probably from 1906 to 1908. Bad thing happened because man in boat had no eye for jagged cliff. 1) A lyre that size is likely to produce only basso profondo notes. 2)If the full moon is that near the horizon it is not going to be that dark out. 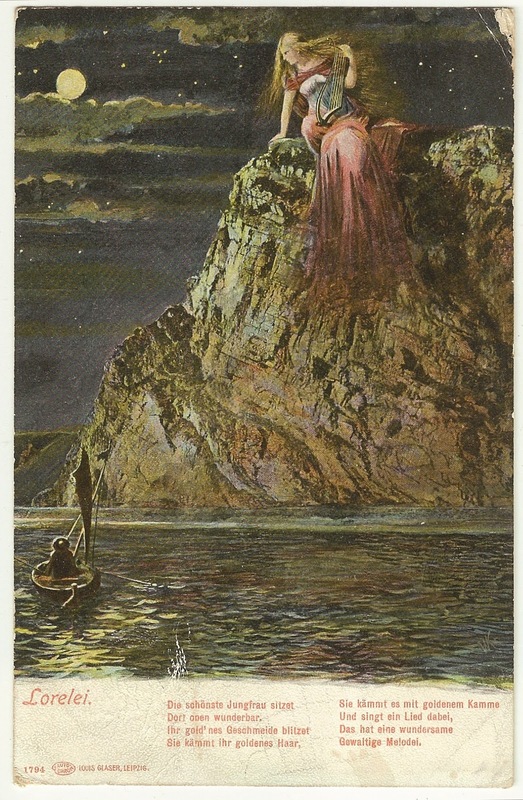 But, very nice to read about the Lorelei. It is still a dangerous place, last July a ship with ethanol run aground, blocking the river and resulting in a 'traffic jam' of 65 ships.